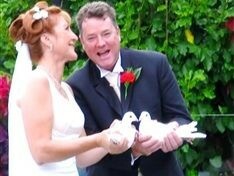 White Dove release ceremonies from $265.00 Red carpet hire from just $25.00 Wishing well or treasure chest hire @ $40.00 each. Our beautiful red carpet runners are plush pile imported from France. Our runners are 1M wide, starting at 2M long $25, 3.5 M long $35, 6M long $60, 7M long $70, Our wishing well or treasure chest are $40 and a bond of $50 is required for any item. This service is available to TRADE ME members only. In order to give you a price, quote or to make a booking, just email back to the questions below. We will check availability and email you a full quote/confirmation. Pick up and drop off by arrangement. Hi are there any other charges for hiring the carpet? We hired a wishing well from DoveBlessings over the weekend for our wedding. Stuart and Connie were great from the booking process, all the way through to returning my bond. Would definitely recommend their service to others. The wishing well was in perfect condition and was easily decorated too. Thanks again!